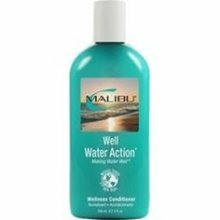 Malibu C Products:Get rid of the chlorine! Visors and Hats: Protect your face and hair. Buoys: Resistance for upper body and arms. Mesh Bags: Holds everything you need. 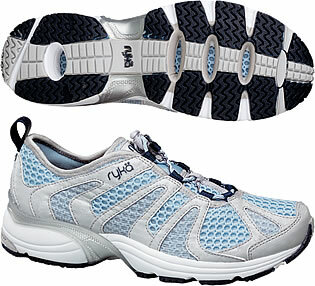 Aqua Shoes: Ryka Hydro Fit and Ryka Aqua Fit. 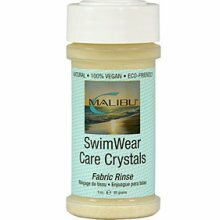 remove chlorine and other harmful minerals from your hair, skin and all swimwear. Guaranteed to keep your WATER WARM-UPS and your hair looking great. This 3 oz canister lasts forever! Use only 1/3 tsp er gallon of water and get rid of 99% of the harmful chemicals in your water wear. For hair and body, 9 oz. 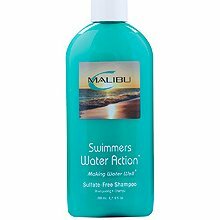 Safe for all ages and hair types, this gentle, 100% vegan, sulfate-free shampoo is formulated specifically for swimmers and free of harsh chemicals and aggressors. Sweetly scented and rich in antioxidant vitamins and botanicals, this complete wellness cleanser also doubles as a body wash, making it ideal for daily use from head to toe. Relieve dehydrated skin with this body butter that goes on creamy and smooth, absorbing into the skin without leaving greasy residu behind. Use it right after you get out of the pool to replenish your skin's moisture! Smells great too. SOLRX SPF 44, 6 fl.oz: certified 8 hour waterproof sunblock. It is waterbased, oil free, unfragranced, cruelty free, paraben free and will not sweat into eyes. SolRx SPF 30 Lip Protectant is as beneficial after a day in the sun, as it is during sun exposure. Made with Aloe Gel, Vitamin E and Moisturizers, the product goes on smoothly and helps soothe dry, windchapped lips. A true hybrid, combining the lightweight comfort and support of a training shoe with the quick drying ability of a water shoe. Air mesh upper for quick drying. A superior water drainage system + excellent traction on all surfaces, makes the Aqua Fit 4 the perfect shoe for aquatic classes and all other water sport needs. 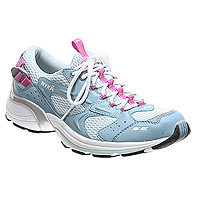 Midsole constructed with lightweight compression EVA keeps the foot comfortable and supported. S.G.S (Skeletal Guidance Shank) mid-foot support during heel-to-toe transition, and acts as a center frame stabilizer. We sell this shoe for $44. If you can find it cheaper (please include shipping charges when you calculate other sites' prices) we will match that price. Please call 714-550-0668 to make sure we have your size in stock. Limited sizes available. Please call 714-550-0668 to make sure we have your size in stock. Limited sizes available. Please call 714-550-0668 to make sure we have your size in stock. Ryka Aqua Fit 3 has been closed out by the manufacturer. We guarantee that our price is the cheapest on the web (be sure to consider shipping charges when you calculate other sites prices). 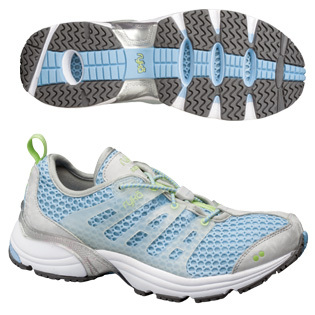 Specially designed hybrid trainer engineered with a superior water drainage system, quick dry upper, proper cushioning and support to keep you comfortable and moving. The perfect functional shoe for all your water sport needs. Mesh bag with full closure heavy duty zipper and heavy duty woven 2" shoulder straps. 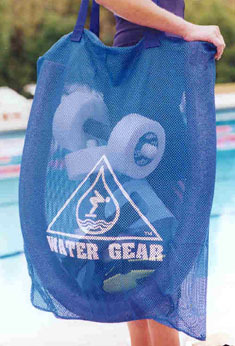 This 24" x 36" bag is big enough for buoys, belt, noodle and more! Completely washable, with Velcro closure. 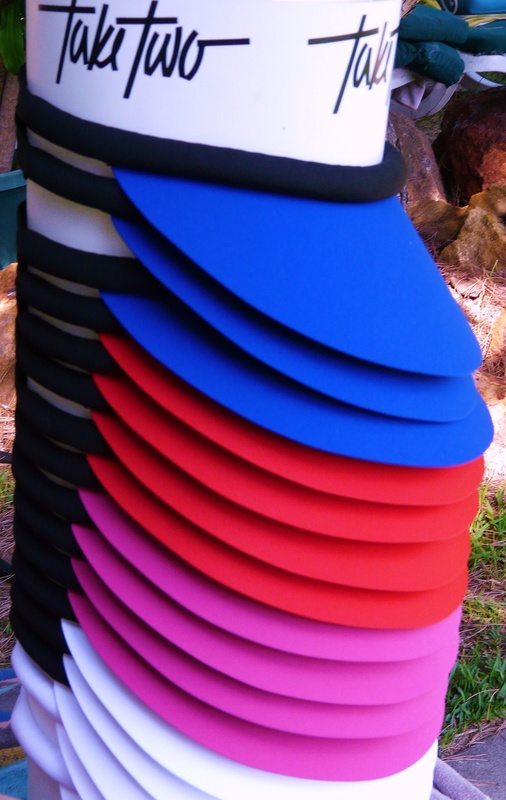 We offer fabric or vinyl visor bills and brims. Many colors and combinations are available: please call 888-890-8044 to check current stock. 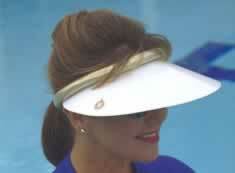 These attractive, "no head ache" visors cover the whole face and ears. Great for water workouts or just about any sport and any time outdoors. Easy to take on travels, just open and pack flat in suitcase. The Velcro closure is adjustable and very comfortable. Specially contoured to fit below rib cage and above hips.Shape and secure fit promote maximum range of motion and breathing.Fully adjustable nylon belt holds belt securely and comfortably at waist. 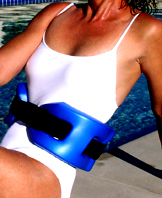 Provides lumbar support and vertical balance in water. A note about resistance bells: It is important that you choose bells that are not too buoyant for your level of fitness and strength in shoulders, elbows and wrists. It is recommended that you start out with lighter bells and work up to heavier just as with weights on land. 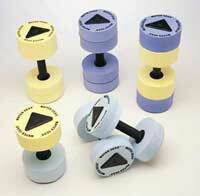 Injuries may occur very easily in the water when working out with bells that are too much for the individual. Don't think that you just because you are in the water you are protected from injury. It is a very individual choice and caution should be taken when using bells making sure they are not too buoyant and that the exercises are done properly. 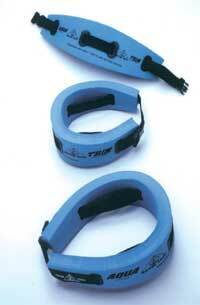 Soft foam covered handles reduces white knuckle effect. Closed cell EVA buoys are non-abrasive to skin & fabrics.Won't chip or absorb water. You can choose between open fingertips or closed fingertips. All gloves have a zipper and Velcro closure. Very comfortable and sturdy.